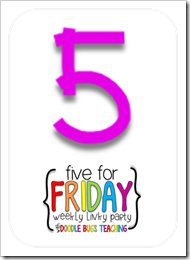 I am so excited to be joining the Five for Friday linky this week, this is my very first time! I know, I’m late to the party. Sophia Grace! I am having so much fun spending my summer with my daughter. I love watching her personality develop every day. What’s also great is that since I have to pay a percentage to keep her spot in daycare over the summer, her sitter said I could drop her off 2 days a week! SCORE! I love my little one, but it is so nice to have a couple hours to grocery shop, workout, or even nap. 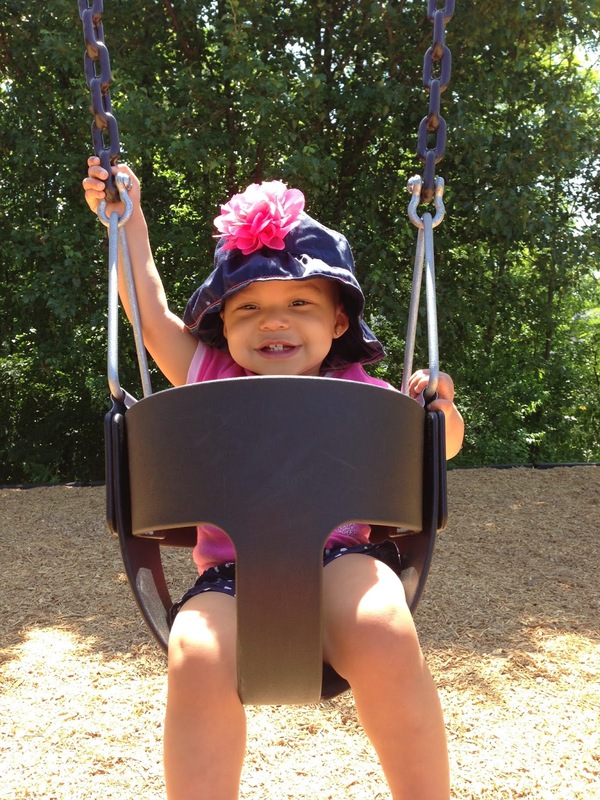 She is the happiest baby ever when she is on the swing; however, she is NOT a fan of swing time ending. AT. ALL. Gracie and Teddy have also become best buds this summer. It is super cute, except for when they collaborate to drive me crazy! She knows how to let him out of his crate now so she pretty much thinks she owns him. 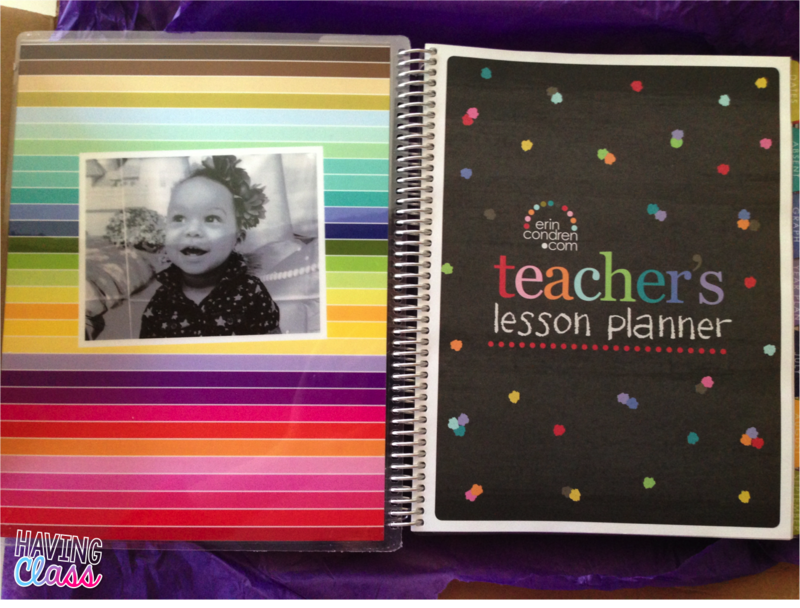 Numero Dos has to be set aside for my fantabulous teacher planner form Erin Condren. I actually ordered this back in May when she had her teacher appreciation sale going on, but like I mentioned above, I’m late to the party. The photo below is of the inside cover of my planner. In hindsight, I probably should of made the picture inside color instead of black and white, it came out a bit funky. I still love it though! Summer. School. I know what you’re thinking, but it’s actually not that bad! My county does summer school for 3 weeks from 9-12:30 everyday. I volunteered because in my opinion all year should be like summer school; short days, small class sizes, and no tests. The extra money doesn’t hurt either! Summer School is not being held at my school this year but it’s okay because the school we are at is only 2 minutes from my house. 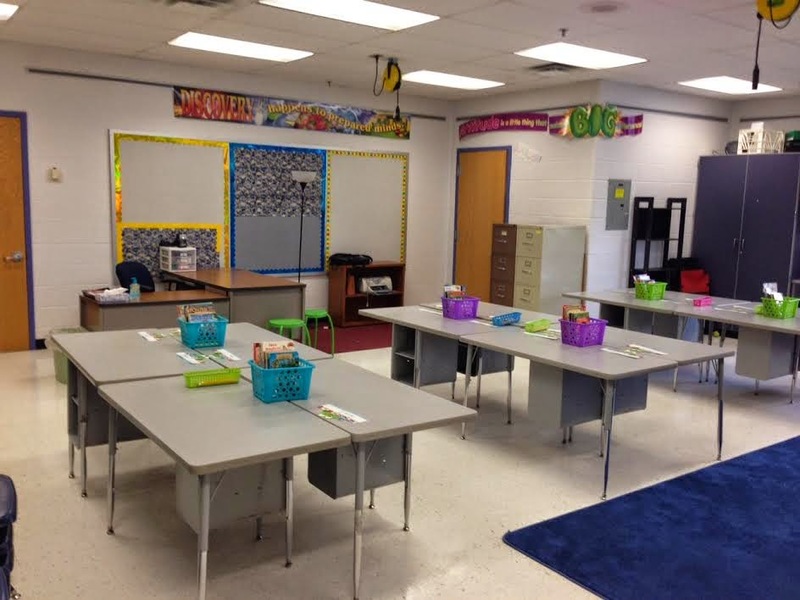 Plus, I think I’m in love with my new classroom…huge windows, cubbies, storage, and a BATHROOM! The 3rd grade rooms at my school don’t have bathrooms inside the classroom, so I am loving this luxury. P.S. 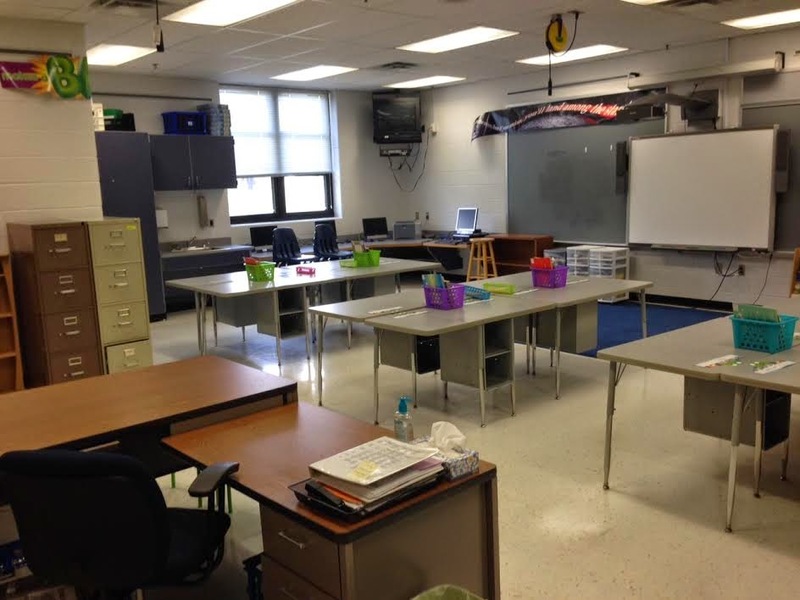 Don’t judge my classroom, I had half a day to set up and we couldn’t hang things on the walls. It may not be cute, but it is certainly functional. It’s official, the back to school season is here. School supplies are my guilty pleasure. I have already spent 2 of those baby-free afternoons I mentioned above taking my sweet time browsing the aisles of Target and Big Lots. 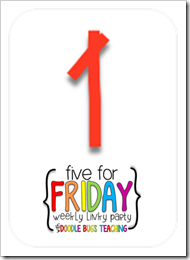 I plan on a picture-packed post showcasing the goodness I have found so far, but for now here are just a couple of things. Bins and baskets galore of all shapes and sizes, in just the right neon-y colors I need for my new theme! 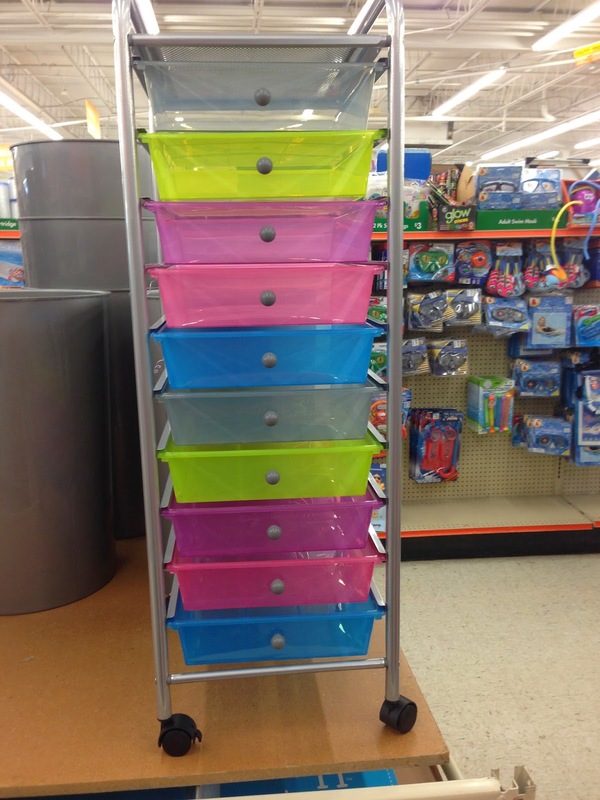 This amazing pull-out drawer rolly cart is only $28! Yes, TWENTY EIGHT DOLLARS! 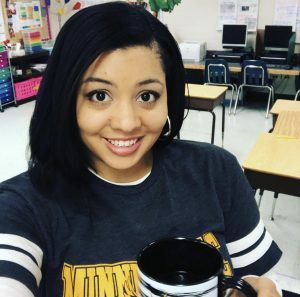 Teacher magazines sell this for at least $70. Duct Tape for $2.00 each, the best price in town. I needed 6 solid colors for each of my table groups. Pool time! My girl has become quite the little fish, it’s a good thing we are less then a 2 minute walk for our neighborhood’s pool! 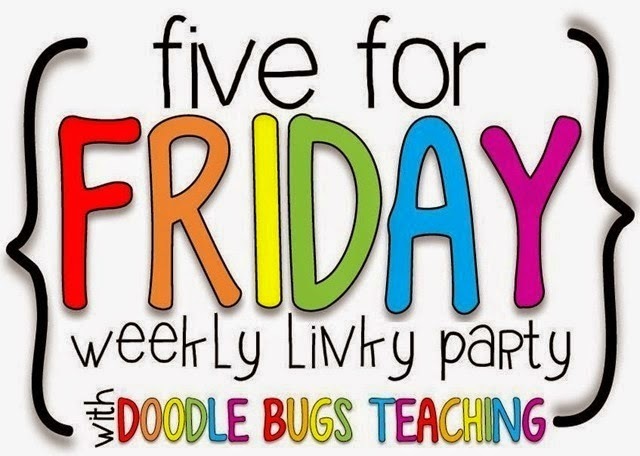 Stop by Doodle Bugs to join in on the Friday Linky Fun! Hi there! 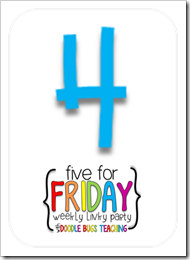 I found you through the Five for Friday linky! I too have been spending my summer with my baby girl! We have had so much fun together! I also take her to daycare two days a week so that I can have some downtime. At first I felt bad about it but I consider them 'personal health' days now! HAHA! I went back to school shopping this week too and got some pretty good sales! Looks like you found some good stuff! 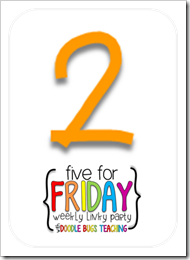 I found some great goodies at Target and Big Lots too…did you purchase the roll cart? I love the bright colors on the drawers-such a great buy! Hi! Your little girl is absolutely beautiful! I am also a school supply addict haha just something about new pens makes me happy! I hope you continue to enjoy your summer! I love your neon color scheme! 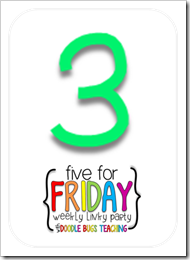 Do you mark your student desks with the colored duct tape, or use it to make labels for bins, drawers, etc.? I am curious!